Lots of news this time. I’ve been too busy to sit down and tell you about any of it up till now! I just returned from Spring International Quilt Market in Minneapolis, MN. For the 6 or 7 weeks prior to this point, I’ve been sewing like mad, getting projects ready for both Market and for my classes at the Arrow Rock Quilt Camp. Now that they’re both over with, I get a little breather, so I’d like to show you some of the things I was working on, and fill you in on some other happenings. Sorry this is long, but if you read to the end, there’s chance of a reward! You can see more pictures and read more about it HERE. Honestly, it’s hard to pick a favorite print from this line. I love them all! Girly octopi, seahorses, and pirate sharks — watermelons, pineapples, and gingham, they’re all so cute! 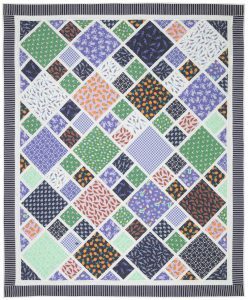 The pattern for this quilt is called “Gimme Diamonds” by Four Paws Quilting, and you can get it HERE. I also made THE most adorable little purses for them. From the outside, they look like little canteen-style purses, but on the inside — they’re actually sewing kits! I made four of them, and I think this one is my favorite, made from their “Summer Love” collection. You can see Dear Stella’s pictures of all four of them HERE. They have pockets and elastic bands inside to hold all your sewing goodies, and room for pieces and parts of your projects, and they zip all the way open to lay flat so you can use it easily. I really really want to make another one for myself, but who knows if I’ll find the time? However, I urge you to make one for yourself, because you’ll love it. The instructions are super easy to follow. Trust me, if I can make it, you can make it, because I’m not much of a bagmaker, and I pulled these off just fine. The pattern is called the “Nest Egg Tote”, and it’s by Carolyn Friedlander, and you can get it HERE. You can see pictures of the insides on Carolyn’s website HERE and HERE, so you can see how it’s used as a sewing project tote. Too too adorable! I made several new projects to use for my classes at Arrow Rock Quilt Camp this year, and I will be telling you about those and listing the patterns in my shop later this week, so stay tuned! Even though I was supposed to be busy sewing, I decided to procrastinate take some time and put up a chalkboard surface on my sewing room door. I had planned to turn the entire west wall of my sewing room into a whiteboard, but after using the room for a few months, I’ve decided instead that the west wall needs to be an additional design wall, which leaves me no space for the whiteboard idea. 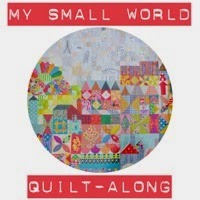 My friend, Cindy, along with some of her friends, is hosting a Quilt-Along for the “My Small World” quilt of Jen Kingwell’s design. While I know I don’t have time to attempt it, I’m passing along the information to you, because some of you might — I love everything Jen Kingwell does, so perhaps you do, too! The information about the Quilt-Along can be found HERE. 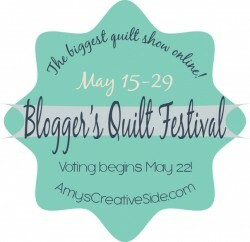 As happens every spring and fall, Amy Ellis, over at Amy’s Creative Side, is hosting the Blogger’s Quilt Festival. You should go enter a quilt, look at the other quilts, and when the voting begins on Friday, vote for your favorites. The show is always full of wonderful eye candy! Yesterday, I was a guest on Pat Sloan’s American Patchwork and Quilting Podcast (along with Jen Kingwell!). If you missed it, you can still listen — the link will be up later, and I’ll update to provide that once I have it. I also introduced my newest pattern, AmpersAnd. Please stay tuned all this week, as I introduce several other new patterns I’ve been working on! I collected some goodies from Market, and I’d like to share the bounty and pass along some goodies to you, my faithful readers. If you’d like to win a package of surprise goodies, just leave a comment here on this post, and I’ll draw for a winner on Friday, May 22nd. Thanks for visiting! UPDATE: The winner of the Market goodie package is Angie in SoCal! Whew! You have been busy. 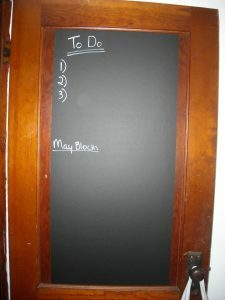 Love the idea about the chalkboard door, using chalkboard paper. Also love the “&” quilt and the “canteen” sewing kit. I’ll be checking out all the other links you provided, too. Thanks for sharing. Now, take a deep breath “&” go! It is time to take a breath and relax. You have been very productive with many items. The canteen style sewing kits are perfect. Thanks for your blog, I so enjoy reading it. Looking forward to the ideas. THe purse has my head thinking. What can I use the idea for besides a sewing kit and what other shape would be better for me. I think the chalkboard would be good inside a kitchen cupboard door as part of a calendar or a list of what is in the freezer so I don’t buy duplicates. You certainly have been busy. I am coming down your way on the 30th of May. So many goodies in this post, Shelly! Thanks bunches. Love your quilt and the sewing kit. Just what I need now – I must make 4 in the next two weeks. Thanks for the chance! Sounds like a great month with exciting things to come!! Wow! You’ve really had a lot going on. Hope you get to take a little time for yourself now and then. The chalkboard door will be super handy. I painted a door with chalkboard paint and it was so fun to have and use. And now I’m off to find the pattern for the Nest Egg Tote — super cute. So many wonderful fabrics it would we tough to choose. It sounds so fun. Wow have you been busy. The quilt along sounds like a lot of fun but I am not very good with paper piecing. I will think about this for a day or two. 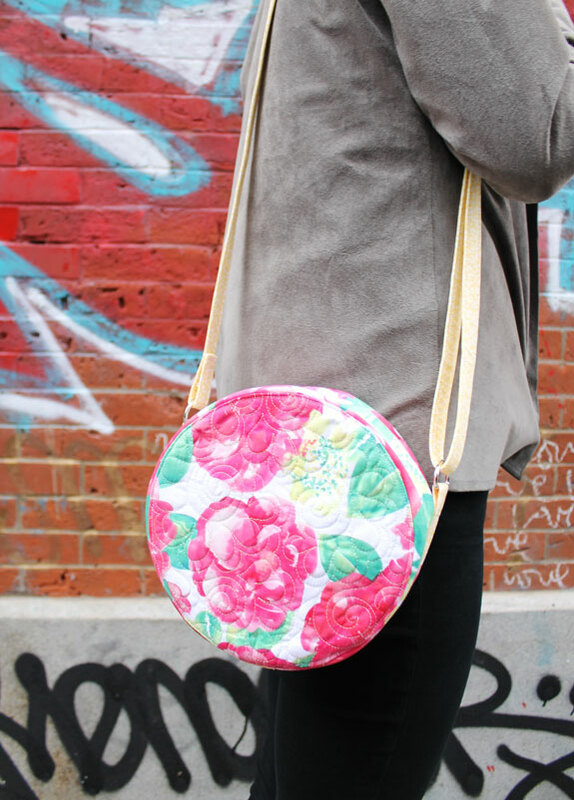 I must have one of those sewing kit purses – it is adorable!! I like that quilt pattern too. I subscribe to Pat Sloan’s podcast but it didn’t download yesterday. Hopefully today so I can listen – I am sure is it great. I love your AmpersAnd pattern. I am making a quilt from it will send you a picture as soon as it is finished. 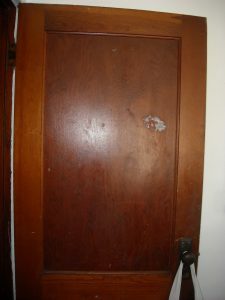 What a cool idea for your door. 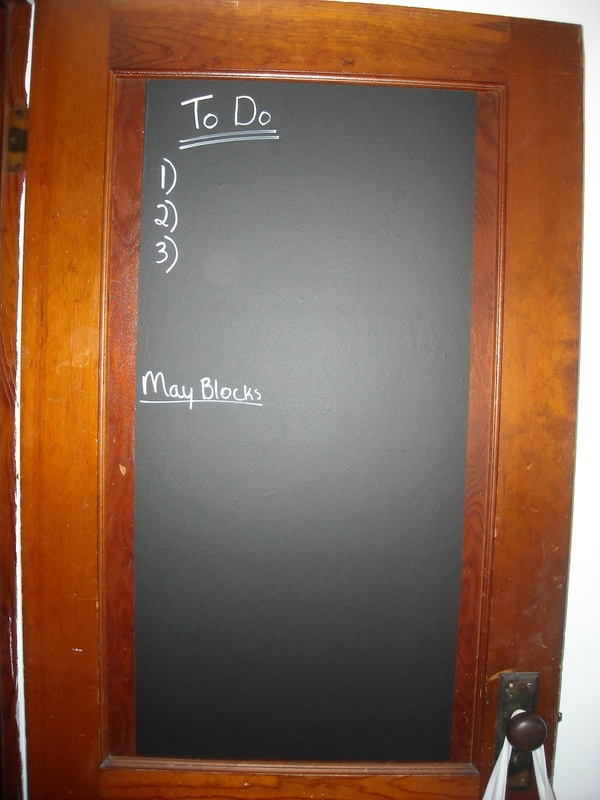 I would love to have a chalkboard to keep track of all of my projects. Wow, you have been busy! Looking forward to seeing your new patterns! 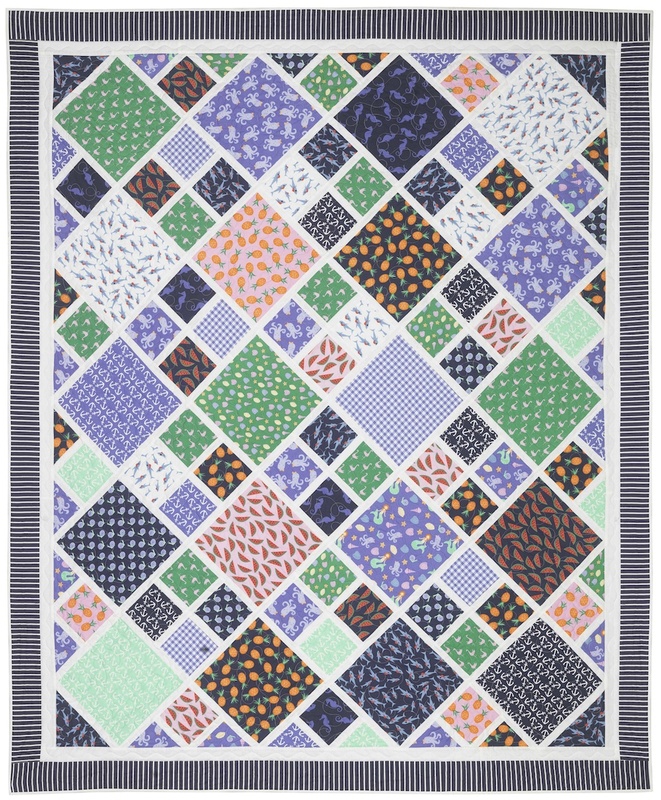 I love the new AmpersAnd pattern and would love some quilt market goodies! Wow. You have been busy. No wonder you haven’t had time to write. Now it is time for a little break. You have earned it even if it only for 5 minutes, pat yourself on the back and tell yourself Well done. Wow! You’ve been busy. I’d love to see your goodies from quilt market in. Y mailbox. Lots of great information in this post. Thanks for sharing. Whew! You HAVE been busy! Go shelly keep up the good work! !!! Great patterns Shelly! You were so close by when you were at quilt market, Victoria too, but so busy. See you in July! My head is spinning and I didn’t even go and do all this. I hope the downtime is productive in the “resting” sense. I really don’t know how you do so much all the time! Love that quilt and that’s a super idea with the chalkboard for your door. I love that first quilt! It’s gorgeous!